Earlier today some images surfaced of purported reversible USB Lightning cables, which are rumoured to possibly debut with the iPhone 6. Sonny Dickson, an Apple parts leaker with a relatively decent track record, has shared a video of the said reversible USB Lightning cable in action. 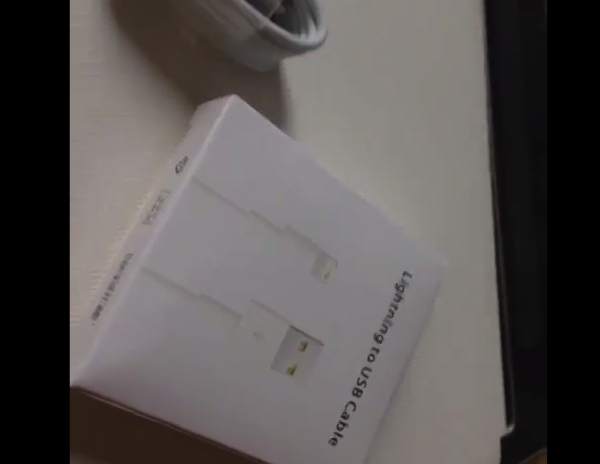 While the boxes are similar to the ones seen in earlier image (they look like cheap knockoffs of Lightning USB packaging missing the Apple logo), the USB connector only has the logo imprinted on one side. Reversible USB Lightning cables would mean no more fumbling in the dark when plugging in your cable. Recent leaks point to Apple possibly implementing reversible USB Lightning cables with the iPhone 6, to match Type-C specs announced earlier last week.